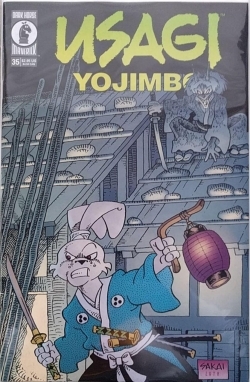 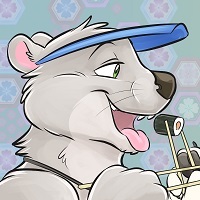 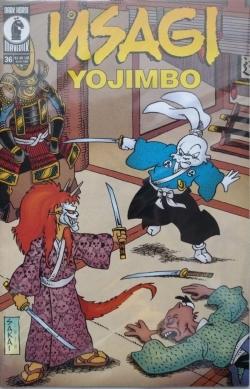 Stan Sakai's Usagi Yojimbo is a furry comic series set in the start of an anthropomorphic Japan's Edo Period, and follows the adventures of Miyamoto Usagi. 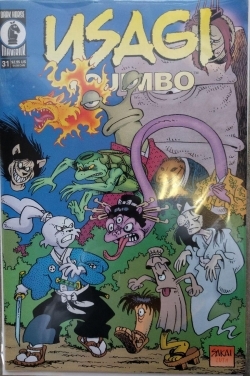 First appearing in "Albedo Anthropomorphics" #2 in 1984, Usagi Yojimbo was later published in Fantagraphics "Critters", then got its own title in 1987. 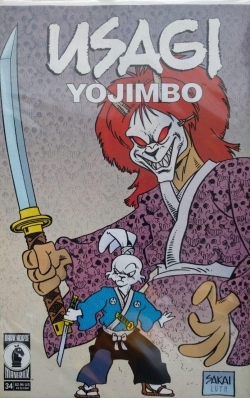 Usagi has been published by Fantagraphics (Volume I, 38 issues and 4 specials), Mirage Comics (Volume II, 16 issues), and Dark Horse (Volume III, >140 issues). 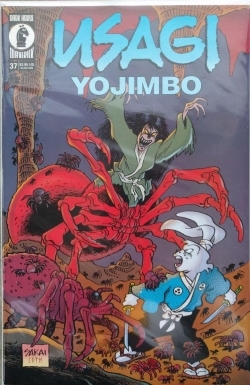 Radio Comix also published two issues of "The Art of Usagi Yojimbo". 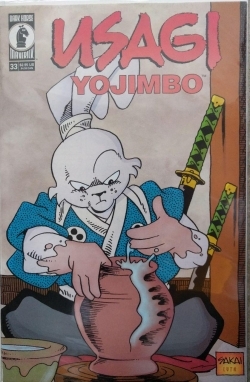 Dark Horse Issue 35 contains the story "The Mystery of the Mask, Chapter Two".